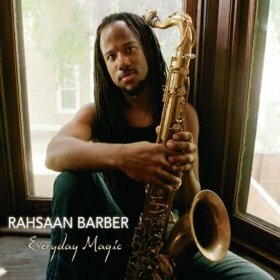 Nashville saxophonist Rahsaan Barber’s most recent album is Everyday Magic (Jazz Music City, 2011). In this interview, Barber talks about deciding to establish his career in his hometown, even after living in New York; the jazz scene in Nashville and how he sees it evolving; and why there was never a chance that he and his brother Roland would become accountants. Learn more at rahsaanbarber.com and follow him on Twitter at @rjbsax. He has a pure and interesting sound, like captive. Interesting, also , are the musics.